Technical Car Experts Answers everything you need: Wire running from oil pan to alternator? Disconnect oil level sensor connector (at the base of the alternator), remove dip stick. 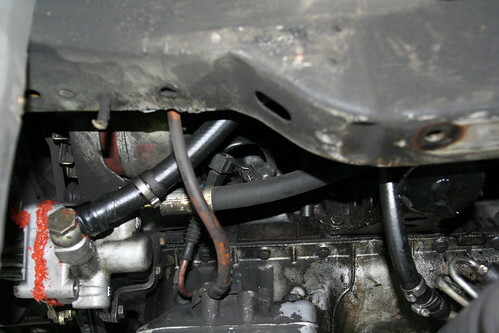 Remove the ground wire attached to the oil pan .